Sales are down at Papa John’s, and it’s not because people have realized they can get better pizza elsewhere. 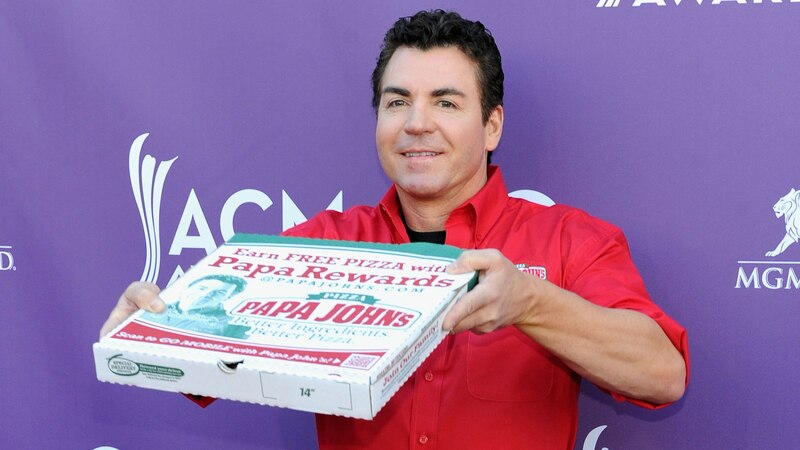 At least, not according to founder John Schnatter, who claims that the players’ protesting during the national anthem is leading to a drop in viewership, which then is contributing to less people seeing ads for Papa John’s and ordering pizza during the game. It’s not totally preposterous to link the NFL’s falling ratings to lower sales for its advertisers — its viewership is down about 18 percent compared to 2015 — but the protests aren’t necessarily to blame. Extreme weather events like Hurricane Irma and the Las Vegas shooting in October likely drew away viewers who were keeping up with the news instead of tuning into football, and the fact that younger TV watchers and sports fans are less likely to have traditional TV that lets them watch games in real time also likely hurts those viewership numbers according to Sporting News. Another potential reason for declining sales? The number of restaurants in the U.S. is currently growing at twice the rate of the population, and that’s why other fast-food and fast-casual restaurants like Chipotle and Domino’s have also seen share prices of their stocks fall in the past year. But much of the internet wasn’t happy with the Papa John’s CEO, Schnatter, conflating the NFL player protests with the chain’s abysmal sales, and they weren’t afraid to let it be known. Papa Johns is blaming the players? Not the fact that their pizza is absolutely horrible…the players. More: Remember when John Legend called the national anthem “weak?” Oh, that just happened.